It all starts with an idea. And enterprising youngsters are brimming with them. 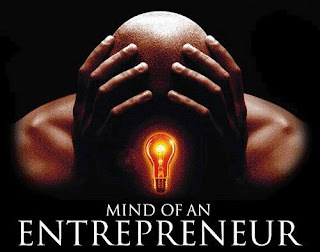 Entrepreneurship is many things to many people. It is the art of becoming rich to some; to a few others, it is freedom from authority; for yet others it is acquiring authority and to a small group it is the art of creating something from nothing. As you can see, entrepreneurship is what “you” want it to be. A popular school of thought holds that entrepreneurship is all about the “Idea.” I hold the view that it is as much about the person and the founding team as about the idea. Times will change, ideas will be irrelevant, but it is the people behind the idea who adapt and make the new reality a new opportunity. It is very easy to fail on a brilliant idea if the founder has mismatches in character. Similarly, the individual with phenomenal traits can make a huge success of an average idea. Berkshire Hathaway, as a company when it was first acquired was a failing business but due to one individual it is one of the most famous companies in the planet. Ability to context things and frame it in reality. Patience – lots of it! Simplicity is the hallmark of a great idea. To analyse a problem and arrive at a simple idea as a solution to the problem, one must have the ability to analyse things that are currently done in a particular way and overlay them on the current reality and find a simple and better way to do it. It seems like a fairly straightforward capability, but beware, it is not what it seems. You have to be able to take a holistic/360 degree view of things and then look at current day reality and possibly a future day reality. You must find the gaps and fill the gap with the “idea” — which becomes your company. Therefore, it involves a fair bit of dreaming with your feet on the ground and simplifying it so that it becomes natural and a no brainer. Now that you have a simple great idea, you need to have the conviction to stay with it. Be prepared, for 95 per cent of the people that hear your idea, before you are in business, to say how simple it is and why it will not work. Have the conviction to stay with your idea. Have the ego-strength to argue your case — especially if you are raising money for your idea, be prepared for a fair bit of criticism. Investors are there to make money and do not expect them to share your passion for the idea. You should not be stuck with your idea but “fine-tune,” it is based on criticism. Always remember, the success of your idea depends how you can make it work in the market place. Patience, they say, is a virtue. It truly is. Most entrepreneurs are filled with passion for their idea. Most often passion drives haste and you may do sub-optimal decisions in haste. You have the tough task of making the idea a reality. There are a lot of hurdles along the way. Some of them just need time to be solved. So, have the patience. If your conviction is strong, you should have the patience to see through your initial few years. One of my biggest disappointments with our education system is that we are so focused on the end result that we forget to appreciate and enjoy the process. To be a successful entrepreneur and to have the ongoing courage and strength to build a company, it is necessary that you enjoy the “fight.” You should reflect on your everyday challenges and enjoy the process of overcoming them. Intellectual curiosity to solve problems is an inherent attribute of an entrepreneur. During those early trying phases, ensure that you do self-analysis, course correction only when required. If you stay true to your idea, the ability to climb that mountain will come to you. In short, find out why you want to be an entrepreneur. Once you know why, then most often that gives the answers to the “what to do” questions. Happy Entrepreneurship!